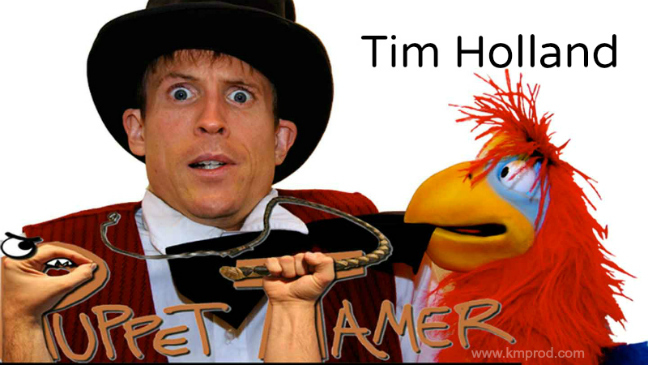 Tim Holland is a multi-talented ventriloquist, prop comic, & circus artist - with an extended cast of "characters". Tim's UNIQUE performances involving hilarity, wacky improvisation, and outrageous situations - all wrapped up into a fun-packed, animated family show. 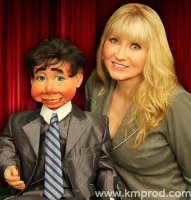 Get Set for More Laughs than you can Shake a Stick-Puppet at ... 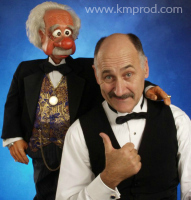 THE PUPPET TAMER SHOWS - A Fast-Action Comedy Ventriloquist Show including Juggling, Unicycling, and On the spot Improvising. 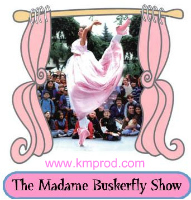 This show brings the best in live theatre to life. WARNING - DO NOT FEED the PUPPETS. 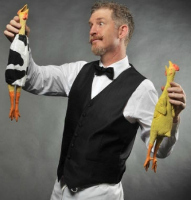 More on The Puppet Tamer Show: Through Cheap Trickery and Genuine Magic, master ventriloquist, Tim Holland convinces the audience of the dangers inherent in the taming of ferocious and uncooperative puppets. Rooted in the traditions of Clown, Circus and Improvisation this show brings the best in live theatre to life. A seasoned performer with over a decade of experiences, Tim's travel's have taken him through Europe, Asia, and Australia. 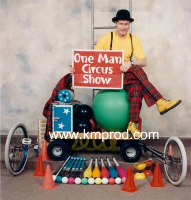 Tim had the honour of performing for the President of Singapore, has trained himself to ride a rare death defying 12ft unicycle, and has trained a rubber chicken to dance the can-can. 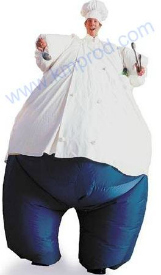 With a wealth of clients that includes Sanyo, Sony, General Electric, Baskin Robbins, Ford Canada, Miller Thomson LLP, Great Blue Heron Charity Casino as well as Cities, Townships, Fairs, Festivals and Exhibitions, Tim is constantly striving to push the creativity of live performance to new limits. 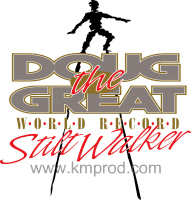 *Company/corporate family-related events and special events with corporate sponsorship, only.